With Exit Bee, you can track the revenue that was generated by the users who interacted with your campaigns. 1. 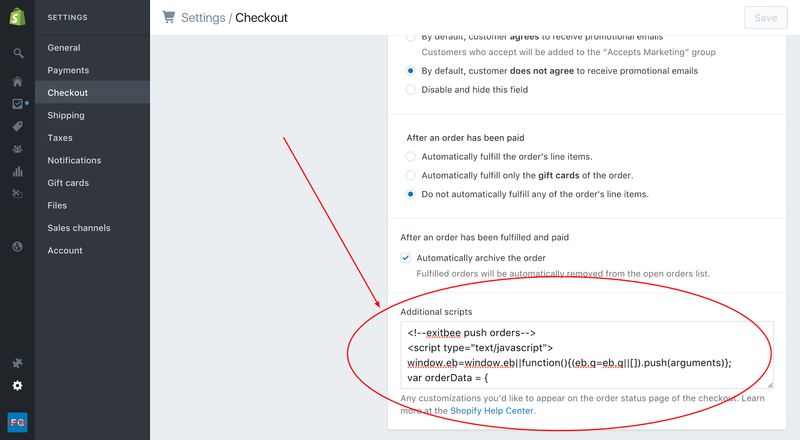 Login to your Shopify store as an administrator. Click ‘Settings’ on the left column menu and then click on the ‘Checkout’ link on the ‘Settings’ sub-menu. You should be now receiving e-commerce analytics about your shop’s generated revenue and the order totals of your converted customers.